Savings of up to 42%* are waiting for smart vacationers who book a package deal on Expedia. Choose from more than 400 partner airlines and 321,000 worldwide properties via our extensive database of lodgings and flights. Fly with who you want, stay where you want — now that's the perfect vacation! What makes your perfect vacation? Whether it's shiny malls or galleries, amusement parks or scenic views, Expedia is here to help you put together your dream travel plan. No matter how swanky your hotel room is, don't spend your vacation cooped up in your room or relaxing beside the pool. There are endless amazing experiences to be had! Before you fly home, why not consider trying a Harbin Taiping Airport Same Day Luggage Services? It's a marvelous way to remember your trip. To take a look at all the activities on offer, jump onto our Harbin things to do page. 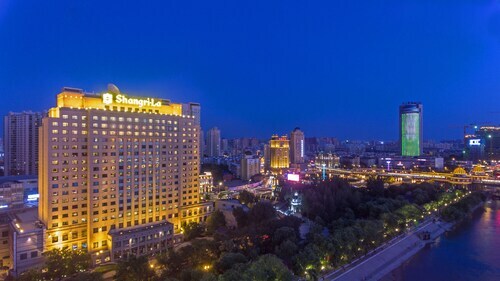 Located in Harbin City Center, this hotel is within a 10-minute walk of Zhongyang Street, Saint Sophia Church, and Zhaolin Park. Harbin Flood Control Memorial and Stalin Park are also within 1 mi (2 km). 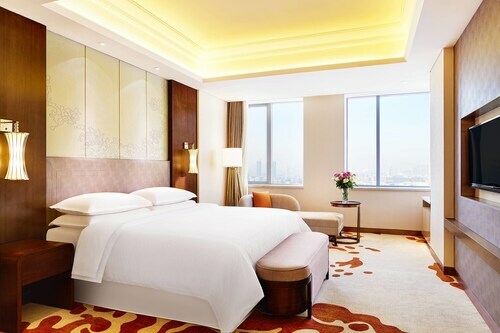 Situated in the entertainment district, this luxury hotel is within a 15-minute walk of Wanda Plaza and Long Ta. Guogeli Shopping Area and Hagongda Stadium are also within 2 mi (3 km). Located in Song Bei, this luxury hotel is 2.6 mi (4.2 km) from Siberian Tiger Park and 2.6 mi (4.2 km) from Harbin Ice and Snow World. Saint Sophia Church and Heilongjiang Provincial Museum are also within 12 mi (20 km). 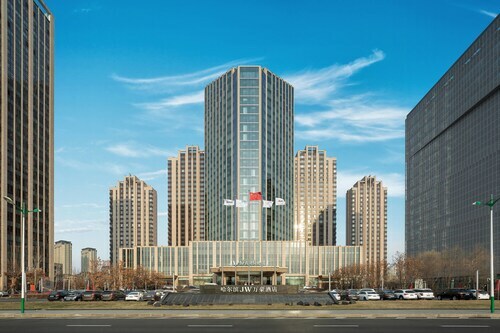 Located in Dao Li, this luxury hotel is 1.3 mi (2.2 km) from Heilongjiang Science and Technology Museum and 2.4 mi (3.9 km) from Harbin Ice and Snow World. Stalin Park and Zhongyang Street are also within 3 mi (5 km). 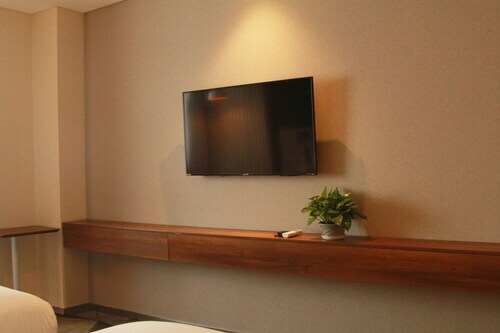 Located in Harbin City Center, this hotel is within a 15-minute walk of Zhongyang Street and Saint Sophia Church. Zhaolin Park and Harbin Flood Control Memorial are also within 1 mi (2 km). 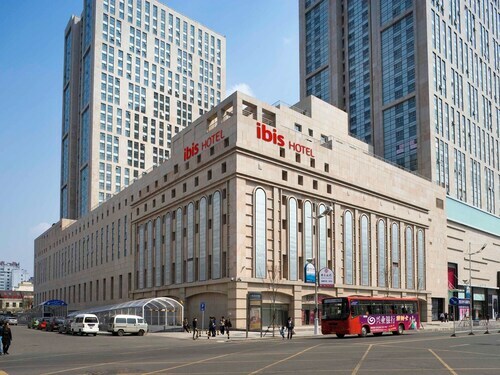 Located in Harbin City Center, this hotel is steps from Zhongyang Street and Saint Sophia Church. Zhaolin Park and Harbin Flood Control Memorial are also within 1 mi (2 km). Located in Song Bei, this luxury hotel is within 6 mi (10 km) of Harbin Ice and Snow World, Siberian Tiger Park, and Sun Island Park. 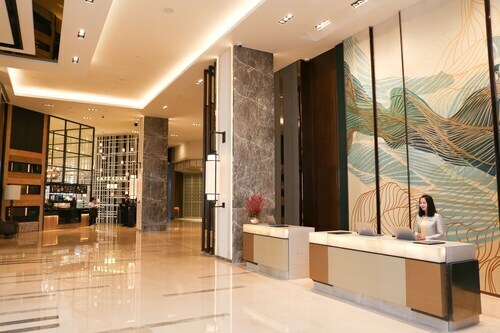 Located in Xinxiangfang, this luxury hotel is within 9 mi (15 km) of Harbin Engineering University, Heilongjiang Provincial Museum, and Harbin Amusement Park. Saint Sophia Church and Harbin Institute of Technology are also within 12 mi (20 km).